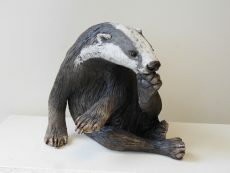 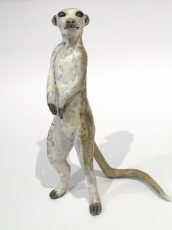 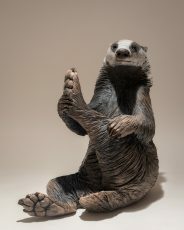 Nick Mackman is a prize winning sculptor of unique raku clay animals. 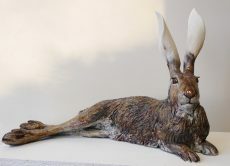 At her studio in Devon she creates sculptures that truly capture the individuality of her subjects. 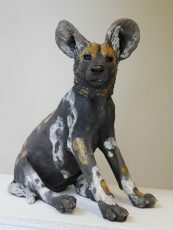 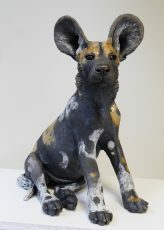 Her sculptures feature both domestic animals and exotic wildlife in natural poses. 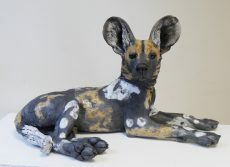 Nick often visits Africa to find inspiration for her work. 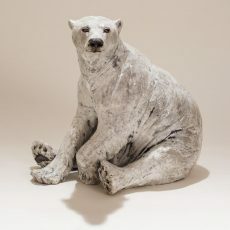 Her sculptures of African wildlife bring home the fragile beauty of some of the planet’s most endangered species. 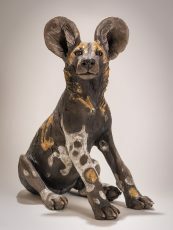 If you have ever been on a safari, one of Nick’s African pieces will almost certainly transport you back to the savannah. 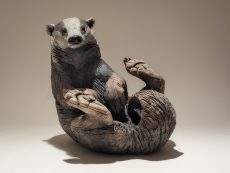 Nick’s work is shown widely and has won many prizes. 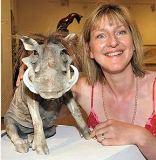 Her sculpture of baby warthogs titled ‘Sleepy Heads’ won the David Shepherd Wildlife Foundation ‘Wildlife Artist of the Year 2015’ award. 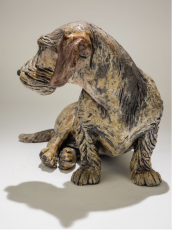 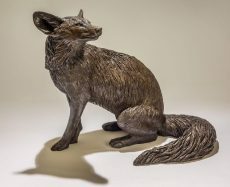 Nick’s sculptures are very collectible and have therefore found many homes. 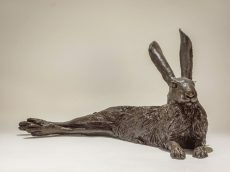 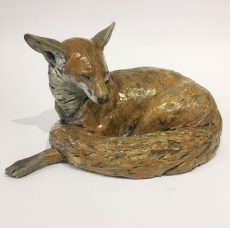 If you happen to be a guest of John Cleese, Judi Dench, Chris Packham, David Shepherd or Viscountess Serena Linley, you might well spot one of Nick’s sculptures on show! 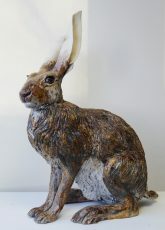 You’ll find Nick’s work in our gallery all year around and they often feature in our mixed shows. 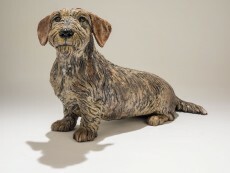 If you have special piece in mind that we are not showing ask us about a bespoke commission.